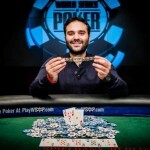 Georgios Sotiropolous, One more Greek professional poker player has won the title of €1,100 No-Limit Hold’em Turbo at World Series of poker tournament Europe for the year 2015. 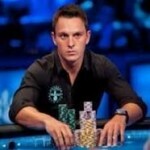 This was the event#8 of the poker tournament to which Georgios has done a great job. The Tournaments now seems to be for Greek players because till event#8 there are 3 players from Greece who have done well and won gold bracelet for themselves as well as for their country. The WSOP Europe 2015 is currently in process at Spielbank Casino in Berlin, where players from all around the world are participating in top games and testing their lady luck. The tournament is one of the largest in the world as well. After winning the best of his career, Mr. Sotiropolous said that it was a dream come true for me and I was looking for it since many years. 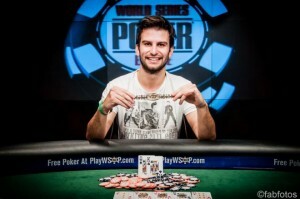 It really feels great when you win a gold bracelet in such a classy poker championship. Sotiropolous is now the third person/player from the native country Greek after Makarios Avramidis and Pavlos Xantholopolous who has won the gold bracelets. 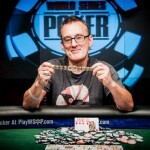 It was very difficult to win against players like Brian Hastings, John Racener Byron, Kaverman, and Benjamin Zamani he said after winning the first gold bracelet at any international championship. 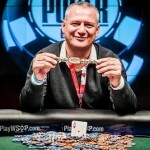 The title yielded him a very good €112,133 and a gold bracelet. Total 289 players were registered for this particular No Limit Hold’em Turbo game of the tournament on day 1 A, from which 100 left at the second break of the game whereas Day 1 B of the event attracted 257 entries to which 46 players got their chances play for the next day of gaming that is of Day 2. Here are the top 9 players who have got some prizes while playing at Event #8: €1,100 No-Limit Hold’em Turbo at WSOP Europe 2015.